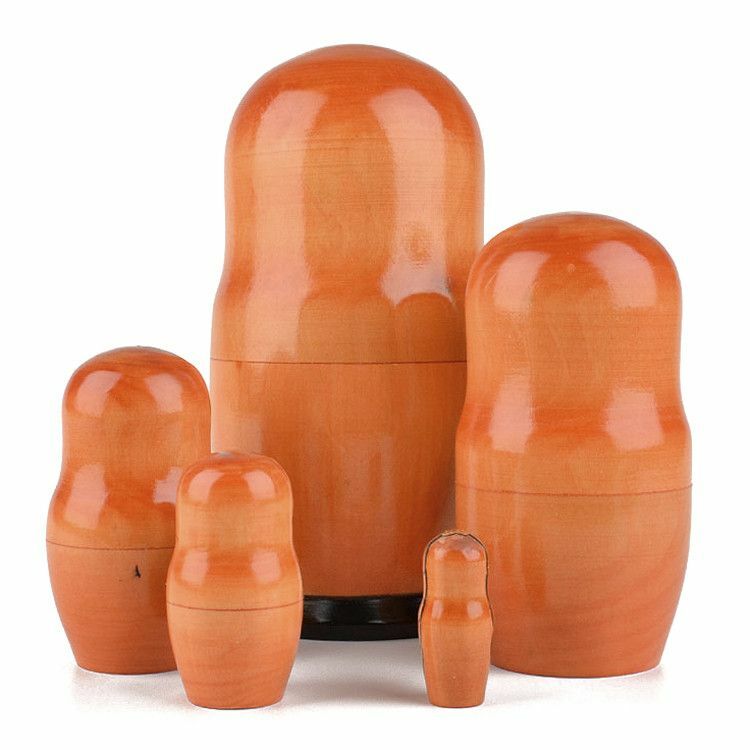 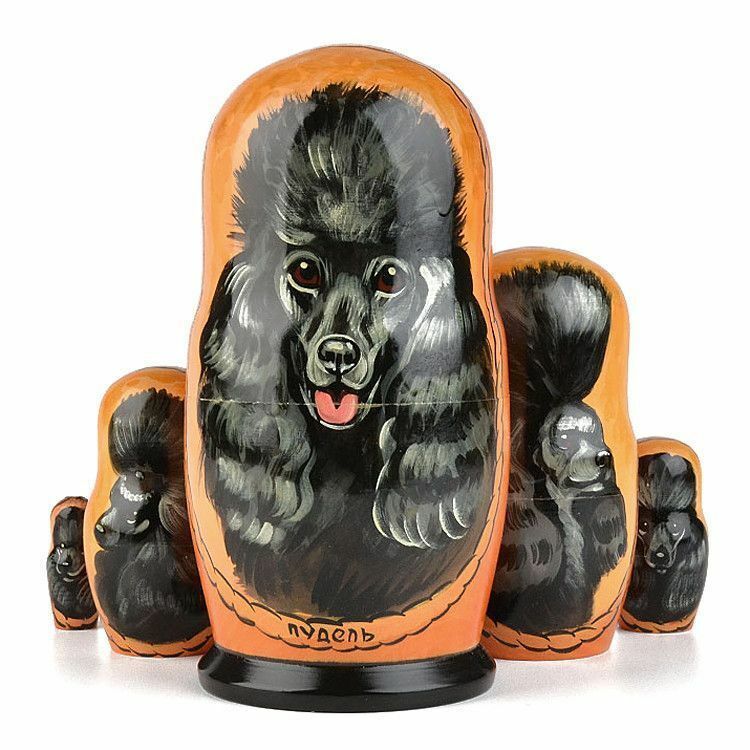 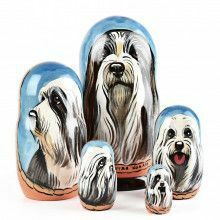 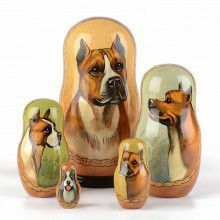 This Nesting Doll features all the beauty of a pure bred poodle without all those extrapensive breeder costs! 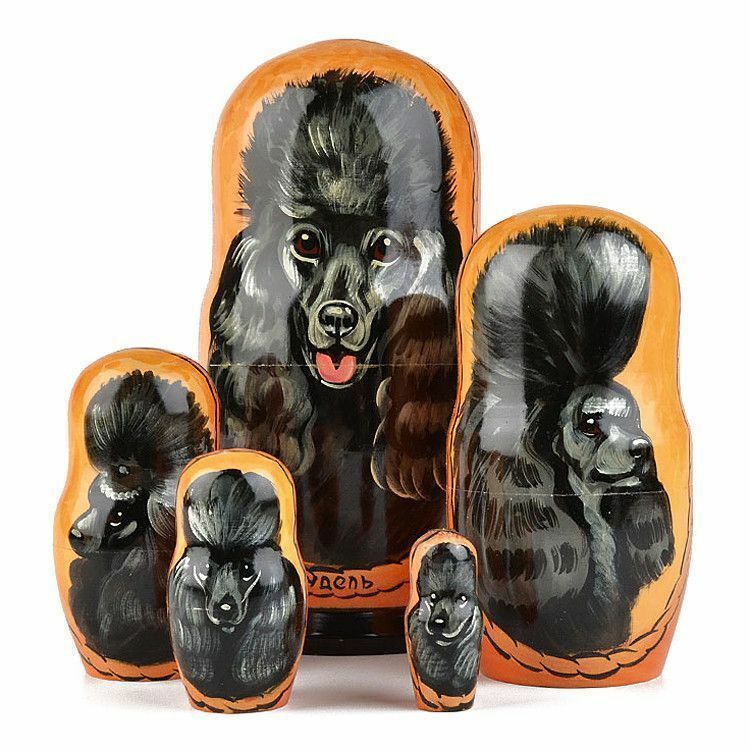 Perfect gift idea for any fan or owner of the Poodle breed! 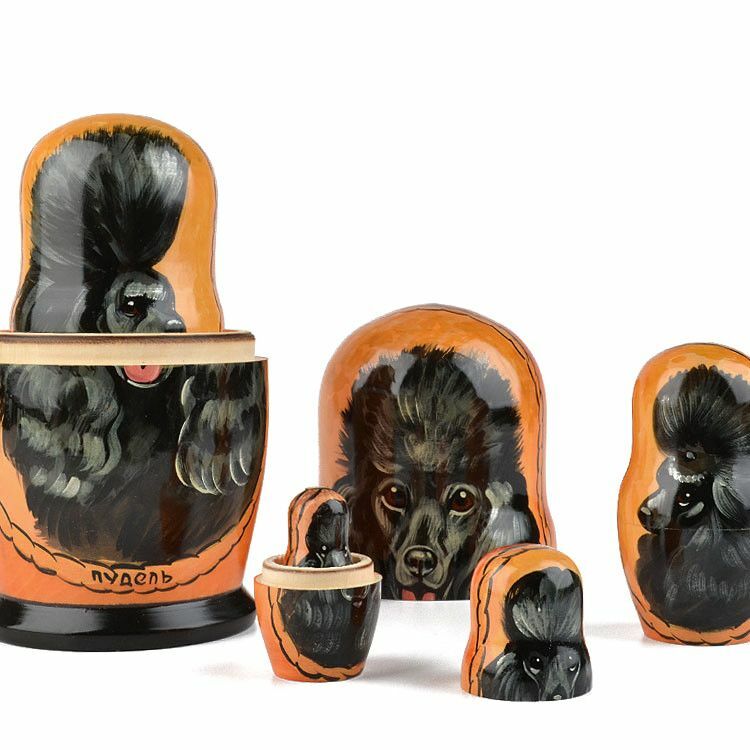 Five pieces are included, each with it's own display of a different black poodle, in a different pose. 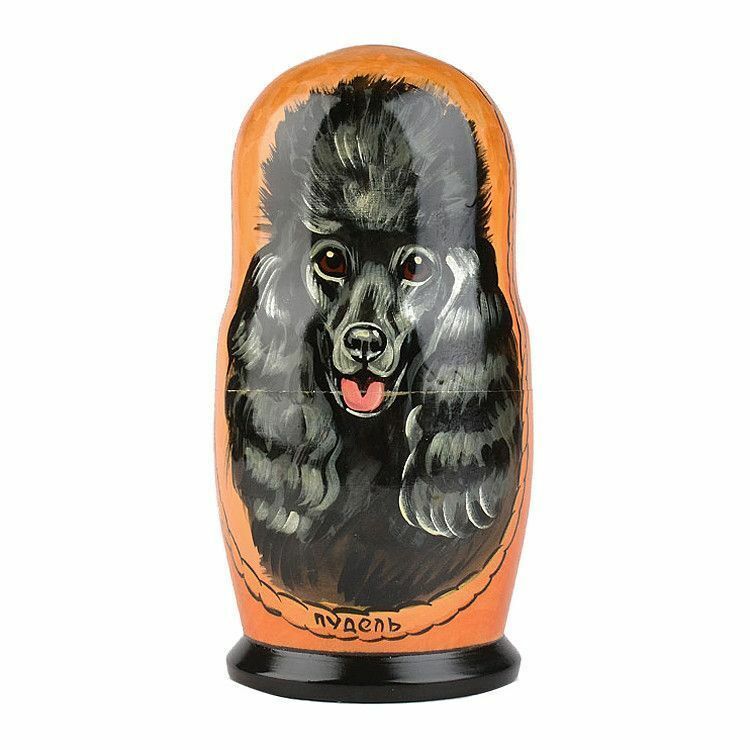 This doll is truly the best in show!